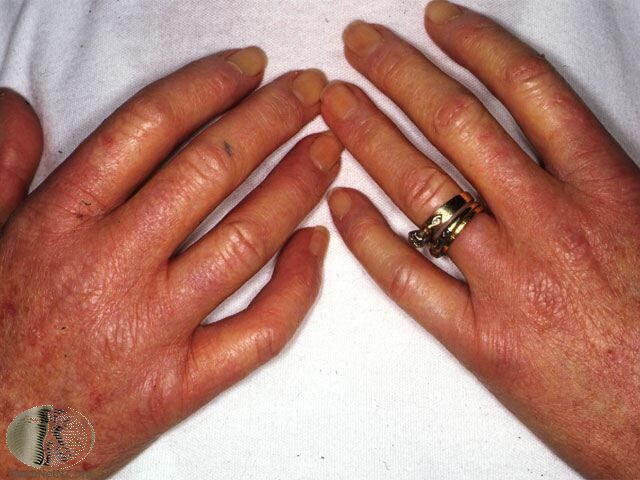 Hands signs in Marfan syndrome: thin fingers, long hand shape & hypermobility! Marfan syndrome is a connective tissue disorder characterised by a tall, slender body featured with long limbs & long thin fingers. The most serious complications are the defects of the heart valves and the aorta, which could lead to an aortic rupture (due to too much stress on the aorta), which is usually fatal. However, many people who have this disorder are not aware of it – partly because Marfan syndrome typically becomes manifest only after the age of 5. But there are hand signs that have a highly reliable diagnostic value! Marfan syndrome is featured with many typical hand characteristics, however a combination of two specific hands signs related to a long hand shape (hand signs) & hand motorics (joint hypermobility) is often enough to identify the disorder. This test is used for the clinical evaluation of Marfan patients. Instruct the patient to fold his thumb into the closed fist. This test is positive if the thumb tip extends from palm of hand (see figure a). This test is used for the evaluation of patients with Marfan syndrome. Instruct the patient to grip his wrist with his opposite hand. If thumb and fifth finger of the hand overlap with each other, this represents a positive Walker-Murdoch sign (see figure b). How to check if a person has hypermobility? You can check this easily by doing the 5 tests that are included in the so-called ‘Beighton score‘: see figure 1. A ‘Beighton score’ of 4 or above usually indicates hypermobility. And if a person has the Sternberg sign + Walker-Murdoch sign + hypermobility, the chances are close to 90% that the person has Marfan syndrome. 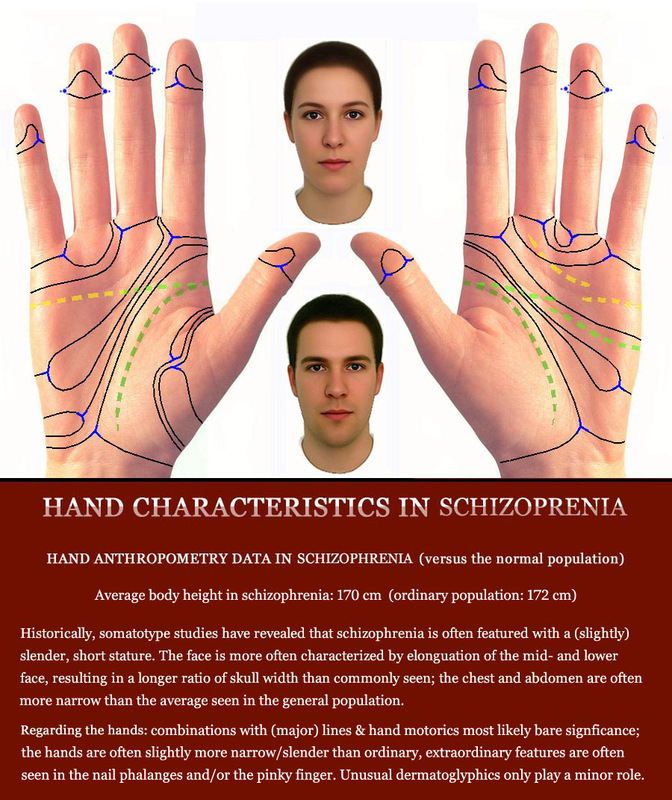 The presence of other related hand markers such as: skin quality (hyperextensiblity), a simian crease, extra digital transverse creases, or a high positioned axial triradius provide other hand signs which are indicative for a person to have a medical diagnosis for Marfan syndrome.